In this phone session with Pam, my intention was to begin releasing some accumulated fear that was hanging out in my body after two unexpected and unusual falls from one of my horses this past Autumn, the lovely & super sensitive Gem. However, as mentioned in Part 1, the body always knows what is best next and we soon went on an unexpected adventure! 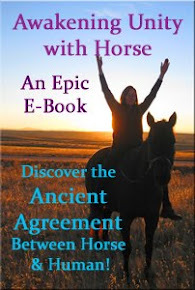 As Pam guided me to drop into my body to explore blocks, instead I immediately became aware of a past life scene unfolding with a different horse who is also in my life now, Legacy. Interestingly, Legacy is Gem's brother and he is the 10 year old son of my first horse & herd leader, Serendipity. 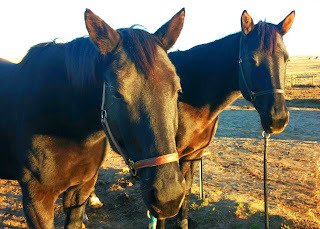 Legacy and his sister, Gem, both Seren's babies. As I tuned into this scene I discovered that there was a roaring barn fire and I am a young lady passionately in love with my steed of a horse, who is trapped inside the barn. In my desperate love for him, I ran inside of the barn, hoping to free him from the flames. Instead, we both perished, side by side. "What happened after you cross over into Spirit?" I've often accessed Between Lives memories, images of that time when we are living in the Spirit world, between lives, so her question did not surprise me. But my answer sure did. I immediately became aware that I did NOT have an answer to her question, because that part of myself was still clutching my now dead, but beautiful steed in that burned barn aisle. I was startled to realize that I had NOT made it over to the other side! 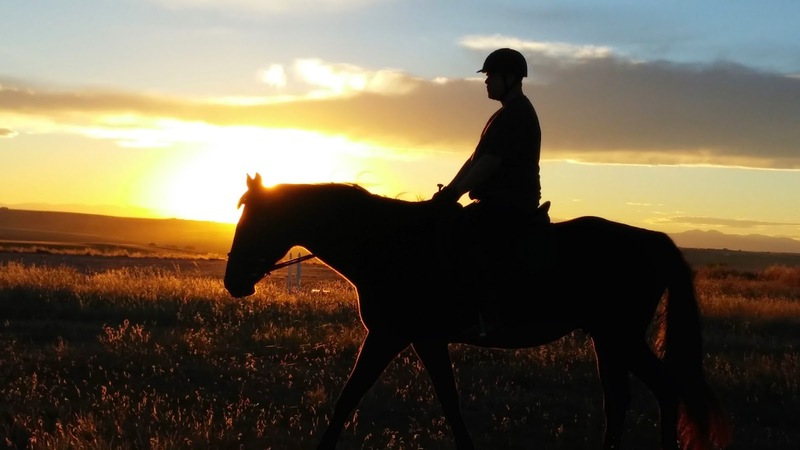 As I breathed into that image, I felt the overwhelming grief that my horse and I both shared, a grief that was so strong, that neither one of us had managed to cross over into Spirit. I saw that this horse and I loved each other tremendously, and in those final moments, we agreed that we would not leave each other, which brings tears to my eyes, even now. And so, there we still were, in another spiritual dimension, trapped in Grief & Loss, between worlds. Pam used her spiritual expertise to help us both Cross Over. 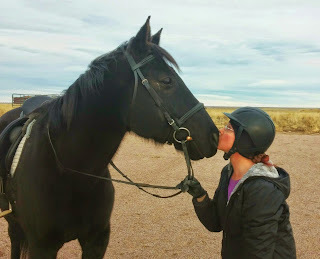 As she guided us, I saw us both rise up from our broken bodies inside the barn, and walk together outside into the sunshine, where in Love, the horse and I acknowledged each other knowingly and shared a warm embrace. That we had never lost each other. That it is NEVER possible to lose another Being's Love. That we are always together in Spirit. And that this very Love had brought us together once again, in this lifetime, so we could Embody that Lesson and Heal that Illusion of Separation. In fact, to remember this Truth is likely the very reason that Serendipity, my very first horse, agreed to give birth to the soul that is Legacy, so that we could reunite years later and bring resolution to this Soul Wound, that had left aspects of our soul energies dis-united from the rest. As we crossed over to Spirit, I felt the wave of happiness, joy, and celebration which always comes when we remember Truth, no matter how long it takes us! What a beautiful surprise this was for both Pam and I! Of course, as energy healers, we're both aware that sometimes souls fail to cross over and these disembodied spirits (sometimes felt as ghosts! ), need help crossing over. And of course, it's common in many shamanic processes to recover soul pieces lost through trauma, from this lifetime, that need to be united with Self. But it never occurred to either of us that a Past Life aspect of Our very own Self may be stuck, in need of help crossing & reuniting with Soul. Even more, that the same kinds of aspects of our Horse friends, may also require this support to return to Wholeness! I suppose it's not truly surprising that during this time of Awakening and moving toward Oneness, that our attention will be drawn to every aspect in which we are not energetically WHOLE. By becoming aware of all of the spaces in which our energy is not 100% aligned with our Essence, we are invited to reclaim ALL aspects of Self, so we can be fully empowered Embodiments here and NOW, radiant in Truth, Light, and Love. This session reminds me that there is always SO MUCH MORE going on outside of our conscious awareness, both for yourselves and our horses, that may be impacting our current action, emotions, and patterns. When conscious forms of change don't seem to be getting to the heart of the matter, it may be time to go looking in more unexpected places for the resolution our soul craves! How have the horses surprised YOU with an unexpected layer that wanted to be cleared? PLEASE SHARE by leaving a comment below! 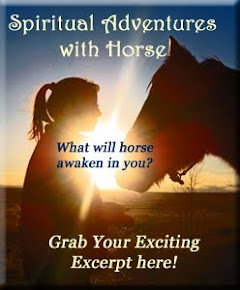 ~ Carol Crisp, Emotion Code Practitioner, remote sessions available for clearing stuck emotions in both you and your horse(s). 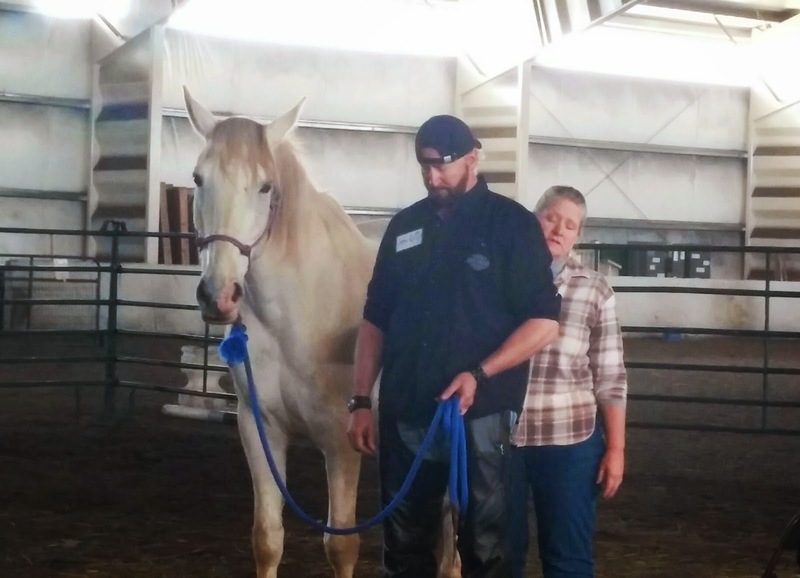 Carol did a powerful demonstration of the effectiveness of the Emotion Code for both horses and humans at the 2015 Healing with Horse symposium in May. You can also buy the book, The Emotion Code, by Dr. Bradley Nelson and begin working with the Emotion Code process for yourself and your herd! Thank you for sharing this personal story Dr. Jenn. I have tears in my eyes as you recount it! And thank you for mentioning our farm and our work here at Hidden Brook. This is truly beautiful!